Our most MULTIFUNCTIONAL PILLOW can be used when laying to support the head and neck. It can also be used when seated, for head resting or to support the back. Its modest size makes it extremely portable and suitable for travelling, but still delivers the same health benefits as any other KYMDAN Pillow. This pillow has been well received by the Japanese market and is the main pillow type. Natural latex, KYMDAN DELUXE mattress presents optimal firmness supporting the user's spine and help maintain the three natural curves of spine in every sleeping posture. Additionally, the open foam structure provides air circulation and ventilation bringing comfort feeling and prevents heat built up for users. The ultimate choice for sleep comfort. KYMDAN SoftTouch bolsters are made from natural latex. These bolsters are highly elastic, insect resistant and soft to give users comfort and a feeling of closeness during sleep. KYMDAN always ensures that each bolster possesses a high degree of elasticity and doesn’t become indented or loses its shape. The bolster has an additional thin protective outer layer to minimize the risk of tear. The main feature of our KYMDAN Pillow Glory is the contoured pillow-surface design that conforms to the nape, neck and head, helping to keep the cervical spine straight when sleeping in the most natural way. The adjustable height, along with an ultimate level of softness provides a soft and comfortable feeling. Furthermore, its compact size is convenient for travelling so you can take luxurious comfort wherever you go. Please note: Pillow Glory is suitable for those who are used to sleeping on a high profile pillow and sleeping on their side. • Plus S is the standard softness, which helps to relieve pressure points. • Plus SS is softer, for a comfortable and relaxing experience, helping to fall asleep easier. • Plus SSS is soft and fluffy, closely hugging the neck and head at every angle, for a deeper sleep. Designed according to the latest aesthetic trends, a KYMDAN bed has a luxurious appearance and makes you feel as though it was created just for you. The Melody bed is highlighted by five gently curved horizontal bars that extend to both sides of the bedhead, making this product look interesting and unique. 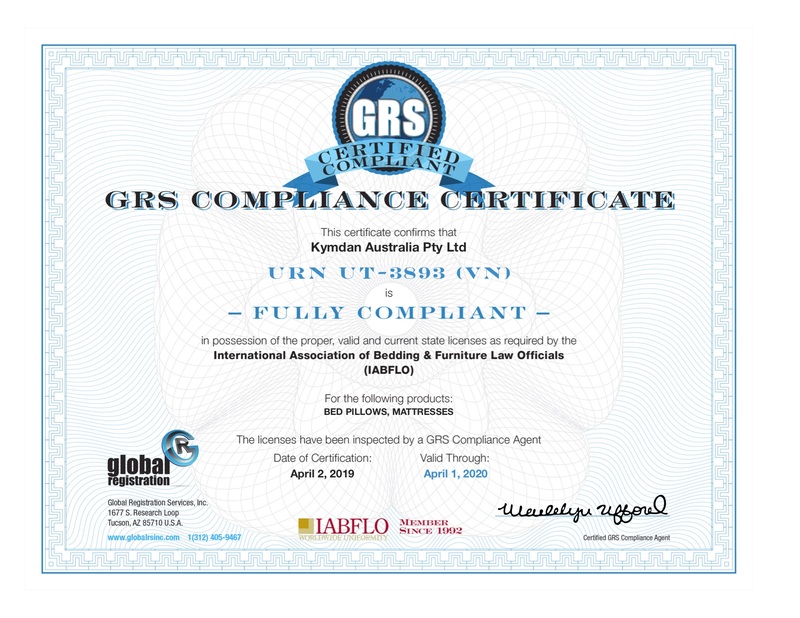 The Global Registration Services, Inc. – GRS (USA) has confirmed that KYMDAN natural latex mattresses meet requirements for import and circulation in all US territories. 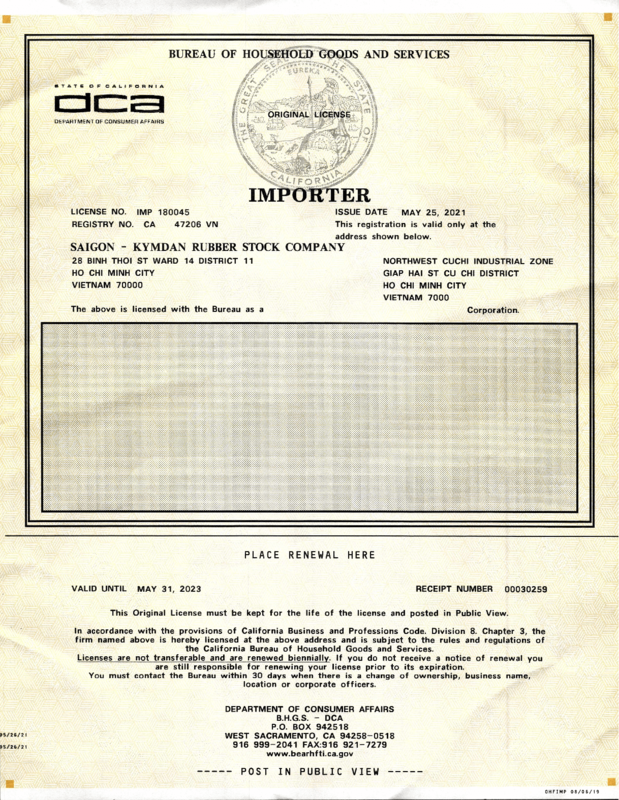 KYMDAN Deluxe Mattresses exported to Australia are approved as an Osteopathy Australia endorsed product. Copyright © 2019 Kymdan AUS. All rights reserved.